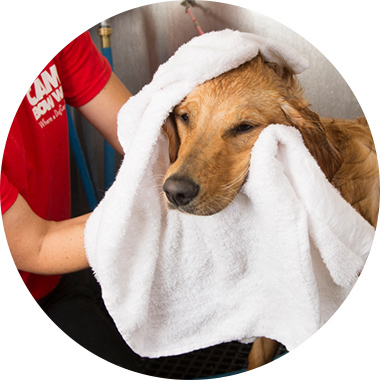 Contact us at (508) 966-4111 to learn more about our dog grooming services. Dog Weight: 1 -20 lbs. Includes shampoo and condition, blow dry, ear cleaning, and nail trim. Dog Weight: 1-20 lbs. Includes shampoo and condition, blow dry, ear cleaning, and nail trim. X-Large breeds and dogs blowing their coats.